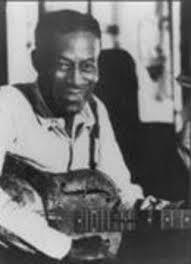 Willie Lee Brown (born 6th August 1900 – died 30th December 1952) was an influential blues guitar player and vocalist. He partnered with other notable blues musicians such as Son House and Charlie Patton, and had a great influence on Robert Johnson and Muddy Waters. Willie Brown is considered one of the main pioneering musicians of the Delta blues genre. Born in Clarksdale, Mississippi, he learned the guitar as a teenager. During his music career he was best known as a side player performing mostly with bluesmen Son House, Charlie Patton, and Robert Johnson. He had recorded four sides for Paramount Records in Grafton, Wisconsin in the 1930s, which were released on 78rpm discs. 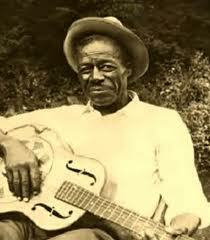 The second time he recorded was with Son House accompanying him in three 1941 Library of Congress recordings. Willie Brown briefly joined Son House in 1952 in Rochester, New York, but soon returned to Tunica, Mississippi where he died the same year. One of the most influential of the early Delta blues guitarists, Willie Brown was arguably the quintessential accompanist of his era, most notably backing legends including Charley Patton and Son House. Born 1900 in Clarksdale, Mississippi, Willie Brown was an affecting singer and an extraordinary guitarist, but spent the vast majority of his career as a sideman, with his ability to "second" other players much celebrated among his peers. In Robert Johnson's song Cross Road Blues, the final line is "Tell my friend poor Willie Brown, that I'm standing at the crossroads, believe I'm sinking down". 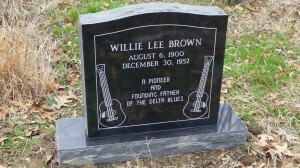 Willie Brown, one of the most talented, gifted, underrated, amazing, spectacular delta blues musicians to ever live, died a lonely death, and was buried in an unmarked grave in The Good Shepherd Church in Tunica County, MS.